Want to brighten a little girl’s eyes this Christmas? 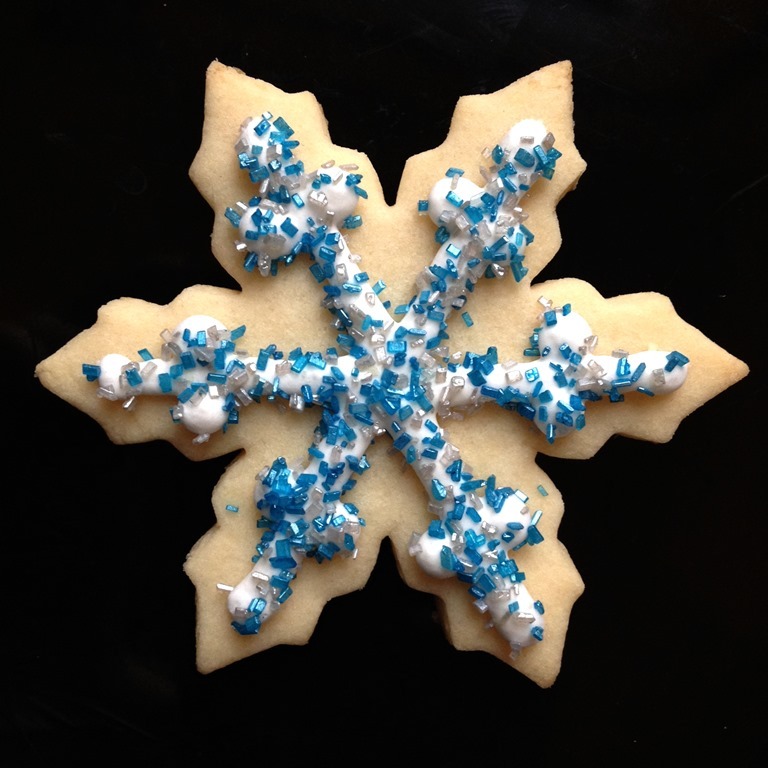 Make these Disney Frozen inspired snowflake cookies together. She can be totally in charge of the sprinkles. This is a different sugar cookie dough than I usually use. (That recipe can be found here: Sugar Cookies). I prefer the flavor of the other dough, but this dough is much easier to work with and creates super sharp edges. And no refrigeration of the dough is needed. When I am using a cookie cutter where sharp edges really matter, this is the dough I prefer to use. The recipe comes from In Katrina’s Kitchen. I used Royal Icing (recipe below) to pipe thick lines, but you could also use this Glacé Icing. Cover lines with shimmery sanding sugar or thicker blue and silver sprinkles immediately after piping. Use a thick open circle decorator tip to pipe thick lines onto each snowflake. 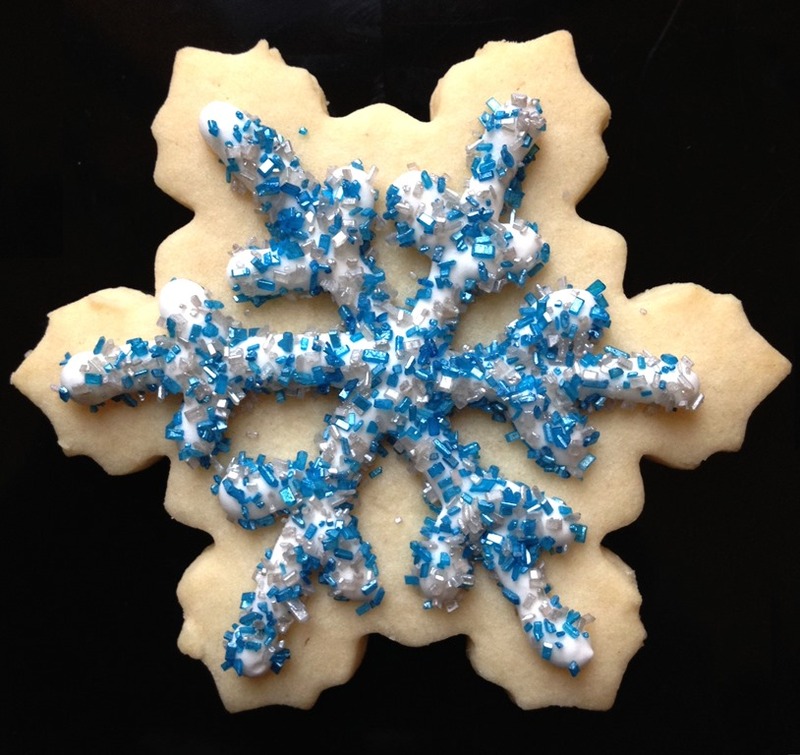 Sprinkle cookie with sanding sugar or sprinkles immediately after piping lines (on each cookie). Icing will harden quickly.